Wind and solar energy have for decades experienced exponential growth and employ millions of people, but according to the International Energy Agency (IEA) statistics they still only constitute about 2% of the world energy supply. How can this be? The answer is well hidden in an error made in a 12-year-old Statistical Manual by the IEA and OECD. As wind and solar continue their growth, this will soon need to be changed. After correction, it will become apparent that wind and solar energy already contribute about three times more to the world’s energy supply than normally reported, and that the shift to renewable energy sources comes much sooner than many decision makers are aware of. When a solar power plant, coal power plant and nuclear power plant all produce the same amount of electricity, one would think that energy statistics would consider these contributions to the world’s energy supply to be relatively similar. This is far from true. Both the nuclear power and coal power are counted threefold relative to the solar power plant, taking into account that about three units of coal or nuclear energy are needed to make one unit of power. A similar loss happens, of course, in a wind farm or solar park, but here the IEA statistics do not make any correction to take into account everything that has been lost. The IEA merely reports the one unit of power produced and neglects that there were also about two units of energy lost in these renewable power plants. Consequently, the IEA ends up reporting the world’s use of fossil fuels roughly threefold versus wind and solar, and the actual role of these renewable energy sources becomes greatly underestimated. In a research paper recently submitted for publication (Sauar, 2017), it is documented that this way of counting is contrary to the basic physical energy definitions that the IEA itself states that it follows. A short, popular resume of the reasoning, however, is given below as there is currently limited literature on this topic for policy makers. Primary energy supply is, simply said, the first «raw energy» that enters an engine or power plant and then transforms into «refined energy» or «secondary energy» as, for example, electrical power or mechanical power. For gas, oil and coal, «primary energy supply» is reported correctly today as the number of tons of oil, gas or coal reflect the amount consumed during the year. Whether this is used efficiently or not, is not counted. When the oil is refined and later enters a car engine, for example, most of the energy is lost, and only about 20% of the primary energy excerpted from the oil field is converted into refined, mechanical energy that drives the car forward. For solar power plants and wind turbines, the primary energy is the solar energy that is radiating or the wind energy blowing into the power plant, while the refined energy is the electricity that is being produced. As in the combustion engine, much of the primary energy is lost, but about the same amount is turned into the desired electricity (or mechanical power). So why are these two situations not treated equally and according to the definition of primary energy? Most likely part of the reason is mere simplicity. Companies producing oil or coal count the amount that they extract in tons. Companies producing electricity from solar and wind energy count the amount of electricity they produce. Anyway, the OECD and IEA statisticians 12 years ago selected a model (IEA/OECD, 2005) to count the consumption of a primary energy source that generates electricity based on how much heat was produced in an interim process step, even in cases where this is directly contrary to the physical definition of primary energy. 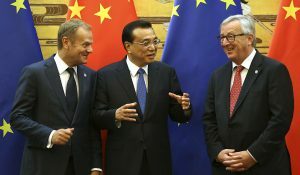 When wind and solar were discussed at that time, these were very small sources of energy so the discussion was possibly concluded without too much attention. In later years, this error has simply been repeated. This means in practice that the primary supply of solar and wind energy is underreported with factors 3-4 both today and in all the scenarios for the future. Giampietro and Mayumi (2009)’s figure below is a good illustration of how a primary energy source moves from the left side through various conversions before it is actually taken into use. In this figure, it is easy to show where the IEA and most energy statisticians repeat their historical mistake, and since the losses in and up to conversion #1 typically are in the 60-80% range, this of course makes a major difference. Conversion of primary energy sources as previously illustrated by Giampietro and Mayumi (2009). The blue arrows are added in this paper showing where IEA counts the different energy sources. As can be read in the IEA and OECD Statistical Manual (2005), the IEA currently regards the primary energy form as the first energy form downstream in the production process for which multiple energy uses are practical. However, as can be seen in the figure above, this means that most energy sources are counted as primary energy, while some others (hydro, wind and solar) are counted as secondary energy. This is hence not a counting method which will count the well-defined term primary energy. It will probably instead count something that could be named «tradable energy». Even though the IEA is of course free to define its terms, the organization will need to have a definition of primary energy form which is consistent with the term primary energy. Secondly, the term primary energy is a well-defined term in the general scientific community, and is not generally open for changes outside the original term primary energy. A second problem is that the current method counts a primary energy source 100% according to its primary energy content only if it goes through an interim heat production process. This is particularly problematic since the interim production of heat is frequently not the most energy efficient route for converting a primary energy source to secondary energy. Nearly 50% of the thermodynamic potential to perform energy work (the potential electricity) from a chemical energy source (like oil and gas) is immediately lost when converting it to heat. Oil and natural gas can in principle be converted to nearly 100% electricity in a perfect fuel cell. After these energy sources are converted to interim heat, however, they have lost nearly 50% of their potential to make electricity due to fundamental thermodynamic principles. For nuclear energy and biomass based power plants, it is also easier to measure the amount of electricity produced than to count the exact amount of nuclear energy that was consumed, or to weigh the exact amount of biomass consumed. The IEA has therefore chosen to only measure the electricity produced for these two energy sources, and thereafter multiply it with 3.0 for biomass and 3.03 for nuclear energy. For wind and solar it is very easy to derive similar factors. In the longer research paper recently submitted for publication, it is showed that electricity produced from wind turbines probably would need a multiplication factor in the range of 2.2–2.5 in order to take the conversion losses into account, as this is a very energy efficient technology with energy efficiencies frequently exceeding 40%. Solar panels, on the other hand, are lower in efficiency, but will soon be around 20% on average, and would need a factor in the range of 5.0 in order to account for the losses. This last factor may appear high, but the losses in the conversion of solar energy to secondary energy are actually fairly similar to the losses of oil based energy prior to and inside a combustion engine. For a 60/40 mix of wind and solar, the average accounting factor would be around 3.3, which is very much in line with how biomass and nuclear is treated. Voters, industry leaders and politicians do not make their decisions based on objective facts, but on how they perceive and understand them. That is why perception matters. If a marathon runner knows he is about to win, he will put in more effort. If an industrial company knows that the market will prefer what they produce over the next 25 years, then it is easier to invest. Politics obviously also is an «art of the possible». Hence, it matters very much what politicians believe is possible. A relevant and contemporary example can be found in today’s political discussion in Norway, where the oil industry is arguing for opening more areas for oil exploration. One of their main arguments (latest used on VGTV August 15, 2017 by leader of the Norwegian Oil and Gas Association, Karl Eirik Schjøtt-Pedersen) is that the world needs more energy and that the new renewables are not mature yet to step up as they account for only 2% of the energy supply. A correct reporting by the IEA would clearly change this perspective and weaken or remove this argument. That again is likely to impact what decisions voters and politicians will make. One can, of course, argue that since wind and solar radiation are eternal sources of energy for all practical purposes, it makes perhaps more sense to report these as secondary energy, i.e. electricity. However, in that case one would need to report also all the other energy sources as secondary energy in order to show what relative role the different energy sources play in our societies. The figure below shows a comparison of the world’s use of primary energy in one of the three IEA policy scenarios for year 2040. This is the so-called 450 scenario, where the amount of carbon dioxide in the atmosphere is constrained at 450 ppm in order to limit climate change. The importance of counting energy: IEA 450 scenario (left) and corrected version (right) give very different impressions of the future role of wind and solar. It is worth noting in the graph above that on the left side nuclear power appears to play the same role as the combination of wind and solar in 2040. However, this is a pure artefact of today’s IEA counting since the amount of power produced from wind and solar is foreseen to be a lot larger than that from nuclear in 2040. This is hidden in today’s reporting, but becomes very clear when wind and solar energy is correctly accounted for. Hydro power is worth giving a special comment. This energy source is in its primary energy state a kinetic energy (or mechanical energy) that can be converted to electricity with nearly 100% efficiency. Hence, for hydro power the primary and secondary energy amount are nearly identical. If you are an industry leader considering investing in fossil fuels and look at the graph to the left, you would believe that the competition from wind and solar energy would hardly hit you until after 2040. If you look at the graph to the right, however, it is clear that this competition will be severe well ahead of 2040. For voters and politicians considering whether or not they should stimulate wind and solar energy it is likewise very discouraging to see that even after 25 years of stimulation for solar and wind energy, the fossil energy sources are still dominating. Such perceptions can easily lead to hopelessness and passivity. A correct illustration of the actual importance of wind and solar energy relative to the others is hence of high and practical value. It matters. Today’s counting method leads politicians, industrialists and voters to believe that a shift from fossil fuels to renewables is much farther away than it actually is. In the introduction, we looked at energy used for power production. However, a lot of energy, oil in particular, is used for transportation purposes. There is currently a beginning mass supply of electric vehicles combined with strong growth in wind and solar energy. 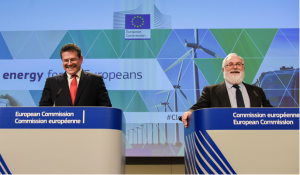 This development is particularly relevant because electric vehicles are a very good way to store the intermittent energy from wind and solar power plants. It is also particularly relevant because there are normally significant losses when converting any energy source to electricity or usable mechanical energy. For wind and solar energy, this conversion loss occurs at the power plant. For the oil based energy, this conversion loss occurs in the combustion engine. Let us therefore compare the two value chains conventional-car-based-on-gasoline and electric-car-based-on-a-mix-of-wind-and-solar energy. Ideally, this comparison should be done based on global averages, but these are not always readily available. We have therefore below only presented reasonably representative numbers. A more thorough global study would obviously become more precise, but the result would probably not be radically different. The consumption data for an average gasoline car are for example taken from the US EPA (Thomas, 2017). As can be seen above, the two value chains are actually very comparable in primary energy consumption per kilometre if the actual definition of primary energy is used with a gasoline car consuming 17 MWh per 15 000 km while the electric car on solar power consumes about 15 MWh. Taking into account that the average car in the US may be larger than the average electrical car, the small benefit of the electric car will probably even disappear. Today’s reporting by the IEA, however, reports 75% less primary energy usage for the renewable energy value chain and thereby again tends to completely overstate the role of the fossil fuels in our economy. The «primary energy error» of current energy statistics thereby has the slightly absurd impact that whenever a car converts from fossil fuels to solar and wind power, the world energy primary consumption appears to fall by 75% even though that is not happening! In many of the toughest climate policy scenarios, they therefore show that the world primary energy consumption is squeezed downwards over the next 20 years, and the reader gets the understanding that this is a tough energy diet to take. But as can be seen above this is simply not true, but an artefact of the current statistical counting method. Solar electricity is today generated through two different technologies; Photovoltaic (PV) systems that convert solar energy directly to electricity (with a low temperature heat loss) and Concentrated Solar Power (CSP) which converts solar energy first to high temperature heat and thereafter converts the heat to electricity in a more regular thermal power plant with a similar low temperature heat loss. IEA’s accounting of two different solar energy technologies. Both today and in the foreseeable future, PV will dominate between these two – partially due to cost and partially because CSP requires near-desert weather in order to deliver low cost energy production. Are there good reasons to maintain the IEAs current counting practice? First and foremost, it must be a clear requirement to international strong-reputed organizations like the IEA that their counting methods are in accordance with the physical entities they aim to count. The IEA may of course argue that they follow the thermal based counting method that they describe in the OECD and IEA Statistical Manual, but this counting method does not count primary energy when it comes to solar and wind power. It counts only the secondary energy made. The IEA should of course therefore report their current tables as a «Mix of primary and secondary energy» or as «Tradable energy produced» in order to have their science consistent. Merely the case for having international organizations use scientific terminology precisely should be sufficient to change today’s practice – either by changing the counting method or by using different terminology so that there at least is consistency between numbers and terms. Another important perspective is, of course, which numbers give the most relevant perspective on the contribution of the different sources of energy to the world’s energy supply today and in the future. A significant question could be raised if there existed a large energy resource with only 5% energy efficiency as this would quickly appear to be much more relevant than it is. Fortunately, that is not the case. Based on the table above for the transport sector, it should be clear that using the term primary energy correctly also for wind and solar, will give a much more relevant understanding than today’s inconsistent terminology. For the power sector, it is similarly clear. Solar modules will shortly have an efficiency of about 20%, while wind turbines are frequently above 40%. This is not very different from nuclear, biomass and coal power plants, especially when also taking the transport and refinery losses into account prior to the power plants. BP (2016) has realized this problem and therefore recently started to multiply the contributions from wind and solar by a factor of 2.8 in order to better show the actual contribution from wind and solar energy to the world’s energy supply in their scenarios. This factor was chosen in order to take into account the average losses in a fossil fuel power plant, and thereby estimate what amount of fossil fuels that wind and solar replace. In order to account also for all the extraction and transport losses in order to get the oil, coal and gas to the power plant, the conversion factor should probably increase to about 3.1–3.4. As shown earlier, however, if one looks at the actual losses in converting wind and solar energy to electricity, the proper conversion factor would probably be about 2.3 for wind and 5.0 for solar power. The average of this is about 3.3, so both perspectives actually lead to roughly the same conclusion. 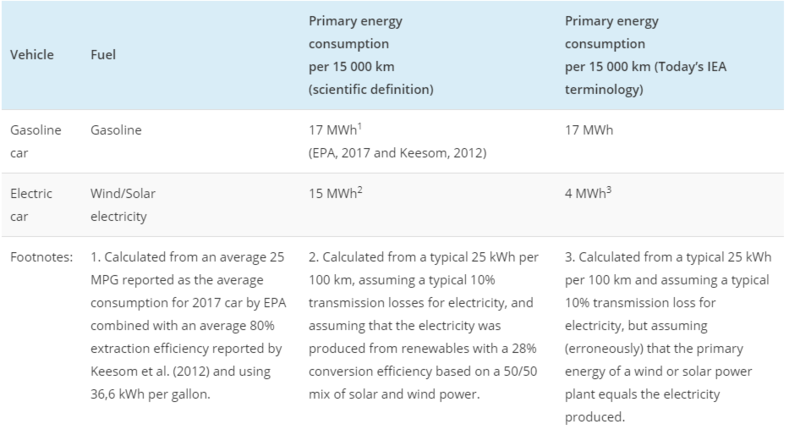 In this discussion, it is also relevant to compare with nuclear power and biomass power, where the IEA has chosen to count the primary energy as 3.03 and 3.0 times the electricity produced. Introducing similar factors for solar (~5.0) and wind energy (~2.3) would thereby immediately establish a consistent counting method also with respect to these energy sources. 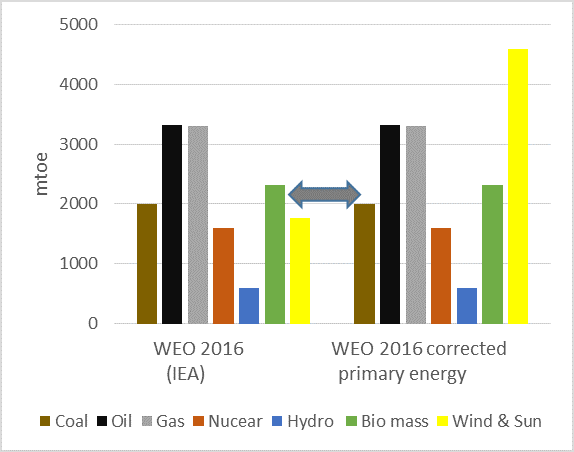 This article shows that today’s counting method by the IEA and OECD energy statistics is not scientifically consistent. It also shows that if the methods are modified so that solar and wind are also represented by their contributions as primary energy sources, the audience will get a better understanding of the relative contribution of wind and solar energy in today’s energy mix. Finally, it is clear that making a change in today’s counting method is important and urgent. Companies, governments and voters make their decisions based on how they perceive the world. Understanding how near the world is to a transition to an energy supply dominated by solar and wind power is likely to impact investment decisions and political decisions in many parts of the world. This article was first published by the Norwegian blog Energi Og Klima and is republished here with permission. Erik Sauar (@ErikSauar) holds a doctorate degree in Thermodynamics from the Department of Physical Chemistry at the Norwegian University of Science and Technology, a Master of Science in Chemical Engineering from NTH, and a Master of Arts (cand.polit) in Anthropology from the University of Trondheim. He has more than 20 years of experience in, having served or serving on the Board of Directors of several international PV institutes and companies. He is also the inventor of about 35 patents and patent applications and author of 20 scientific publications. Erik was one of the co-founders of Renewable Energy Corporation, and served for 12 years as the Chief Technology Officer of the company. The last 5 years he has been investing in start-up companies working to implement small-scale carbon reduction technologies and projects in developing countries through Differ AS as well as continuing to invest and assist in technology companies within the solar and battery space. BP Energy Outlook, http://www.bp.com/content/dam/bp/pdf/energy-economics/energy-outlook-2016/bp-energy-outlook-2016.pdf (accessed 28.05.17), 2016. Giampietro, M. and Mayumi, K., The Biofuel Delusion: The Fallacy of Large Scale Agro-Biofuels Production, Earthscan, 2009. IEA, World Energy Outlook 2016, Paris, 2016. IEA/OECD, Energy Statistics Manual, OECD Publishing, Paris, 2004. Keesom, B., Blieszner, J. and Unnasch, S., EU Pathway Study: Life Cycle Assessment of Crude Oils in a European Context, Jacobs Consultancy, 2012. Thomas, J., Drive Cycle Powertrain Efficiencies and Trends Derived from EPA Vehicle Dynamometer Results, SAE Int. J. Passeng. Cars – Mech. Syst.7(4) : 1374-1384, doi:10.4271/2014-01-2562, 2014. UN, Glossary of Environment Statistics, Studies in Methods, Series F, No. 67, New York, 1997. I totally agree to Dr. Sauar analysis. This article is hard to read and does not do well explaining the major point, but it is correct. 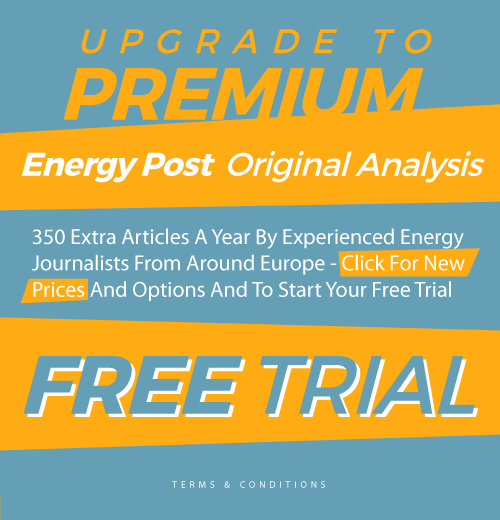 The main and easy takeawy for the readers should be that primary energy consumption is not the right metric to evaluate renewable energy contribution to the world since around 80% of primary energy consumption gets simply wasted since fossil fuel technologies are so extremely inefficient. The right way to compare the different technologies is to assess how much renewable energy would be supplying the world if 100% technologies such as heat pumps and and electric cars instead of burning fossil fuels were used. The next time anyone points out how little renewable energy contributes to primary energy consumption in an attempt to discredit renewables just laugh at him and point out that 80% of that primary energy consumption just gets wasted and is therefore not important but the 20% that actually does something matteres and to THIS renewable energy actually contributes the same AMOUNT and not percentage than to primary energy consumption which makes it a far higher fraction (percentage)! That’s why in germany today most discussion is not about primary energy, which is of no use for anybody, but about end energy used, so the electricity, the enerfy a combustion motor produces and so on. On this base discussion works much better. I covered this topic in some detail over a year ago. So what is your take on it? This topic shouldn’t be controversial, but it is. If you want to compare different energy “types” then corrections must apply depending upon the datum used. Two common datums are available 1) BOE and 2) TWh. BP use BOE and correctly apply a correction to primary electricity to account for thermal losses not incurred by nuclear, hydro, wind and solar. (nuclear has thermal losses that are alreday accounted for by reporting TWhe). If you are going the other way, making electricity from coal or gas then it becomes more obvious that the primary energy contained in the FF needs to be netted down to account for thermal losses. The EU and the IEA do it wrong. The conclusion of this article is actually incorrect. The first aspect being that not all modern day thermal processes can be electrified, and therefore will require one form of combusted feedstock or another. 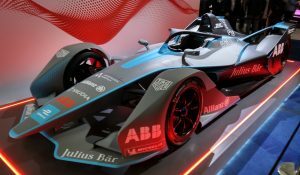 The second aspect being that current material production rates won’t allow for the full electrification of all vehicles. Additionally, it is highly unlikely that ocean going vessels will be electrified soon, and that air travel will be either. The third aspect being that current material production rates won’t allow for a significant addition of wind and solar. From my own analysis — based on Jacobson’s ~ 45 TW WWS — it seems that we won’t be able to produce half of that, unless we achieve a sustained 5,5% growth rate in Cu production, sustained over the next 33 years. So yes, primare energy, doesn’t tell us the entire story. However, it is an important guideline, and shouldn’t be brushed over so easily, as full electrification is still a long way ahead. Explain for which purpose you would need so much copper? And explain which thermal processes can not be electrified. I think these answers will be interesting. A very interesting question, and one I’m still working on. According to the World Copper association about 5.5 tonnes of Cu are used in an average MW of Renewable (particularly wind and solar) capacity. I suspect that this amount may become lower in the future. We may be able to chip off a half tonne, maybe a tonne. That would still make it a tremendous challenge. There are wide discrepancies between technologies. For instance, wind turbines using permanent magnets use significantly less Cu than those without permanent magnets. The same can be said for for instance Sun Power E20 Mono Chrystalline panels, which have a very high copper content as thick copper plates are used as base-plates. It’s one of the tricks they employ to gain a higher efficiency. Other PV panels use a different principle, where thin lines of copper are used as conducting pathways. These obviously have a lower copper content. The problem with all technologies is that they rely on many different principles and/or chemistry. This is one of the reasons why the copper content differs so much. Obviously, Cu is used in the transformers. Most wind turbines have their own. Copper is also used as an alloy material in certain composite wing designs. Connecting wires are in part Aluminium, in part Copper. 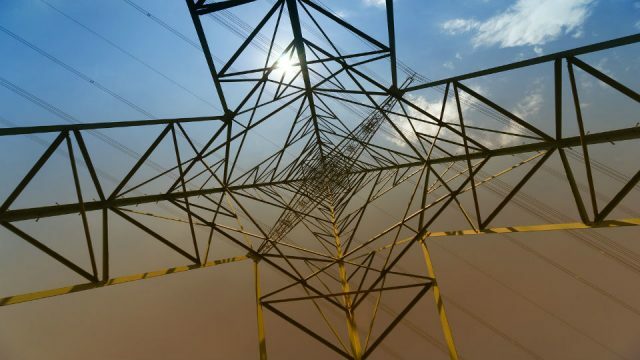 Transmission lines are mainly aluminium. So the brunt of the copper is in the PV / Wind plant itself. As for thermal processes, think about fertilizers, copper production, steel production, cement, chemicals. If it requires some degree of carbon content (like coaxing steel for instance) decarbonizing it will be very hard. But do note that a lot can be done with anodization processes, or electric arc-furnaces. Many chemicals require natural gas or coal or oil as a primary input. Think about Coal being one of the core ingredients for making steel and cement. Think about Oil being the base input for lubricants, plastics and asphalt (the most recycled substance on the planet). Think about Natural Gas being the primary input for Fertilizer. 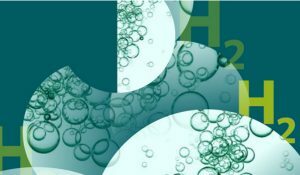 Using steam reformation to create hydrogen gas. Despite the fact that we can make it electrolytically. That is because it is cheaper and more efficient. Subsequently, we create ammonia with natural gas. A key constituent for fertilizers together with potassium and phosphate. Well, in many places prices will solve the problem. At many places Aluminium can be used as well, so needs more space which produces costs – but if copper becomes more expensive it weill be used. Production is also price dependent. Germany has huge reserves of copper ore, like the coutries towards the east/south east. a tiny part of it was used in earlier times in Mansfeld, but now costs for copper is too low. The area under which copper can be found in central europe is 600.000km² big. And only one of many ressources which are at the moment too expensive to be used. Today only ores with more than ca. 2% copper are used. if you go down to 1% copper or less, the reserves explode. Germany today uses about 1,5-1,8 million tons of copper. of this about 25 000t are used for wind power systems. to get the numbers in context. Iron can be produced with Hydrogen instead of coal ( Voest process), and chemestry can be switched to Hydrogen+CO2 – for germany this means go back to the Archives and look how coal chemestry was done until 70 years ago. You fail to quantify how fast we can transition. The speed at which this needs to be done has been quantified in my initial post. A sustained 5.5% growth-rate (current decade = 2.7%) is required, and we wouldn’t even be able to build half of all the PV and wind required. Additionally, using the Voest process requires hydrogen as a feedstock. How are you going to make that hydrogen? Steam Reformation? Or electrolysis? SR = fossil fuel intense / El. = Huge energy losses IE steepening the demand curve. Aside from that. The idea that the market will fix itself is untrue. There’s significant lag between a high price and high production. Mining corporations have to pay it forward in a fickle market. Well you did not tell how you come to your calculation either. First replacing thermal generation also frees a lot of copper. Second general growth of economy and power consumption also requirres new copper, adding to the permanently recyceled stock we have in use – that’s what most of the copper production is for. Today wind power generation worldwide needs something like 250.000t of copper per year. Maybe solar power needs the same amount. The new systems produce about 350TWh per year, world electricity consumption at the monemt is around 20.000TWh per year. So with todays speed, consuming 500.000t of copper ot of something like 15 Mio t per yer of new copper, it would need 60 years to replace all existing electricity production. If deployment of wind and solar would speed up by factor 10, a 30% increas of copepr production, so a similar rise that the industrialisation of china wuld be needed, which is not a real problem with the existing ressources. A similar rise in the copper price like in 2008 might be the result, which did not hurt much. Then a new power production of renewables of 3.500 TWh would be added each year, replacing the existing electricity production in about 6 years, and replacing traffic anf heating etc. in another approximately 6 years. Then furter power consumption could be fed in a much faster way than so far with new thermal generation. So no, there will be no problem in the future. You’ve got your math backwards. Let me show you. 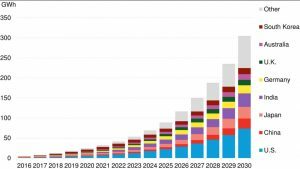 First, the least amount of electric energy required as per “the Solutions Project” without accounting for storage is about 120,000 TWh/yr by 2050. That’s extremely optimistic, as has been pointed out by Heard et al (2017). So the gap is 118,000 TWh of annual generation capacity. If you want to achieve that linearly @ 2050, this means that you’d have to divide 118,000 TWh by 23 year IE 5130 TWh/yr. Current additions are about 110 GW/yr. With an optimistic overall CF of 30% that would give us ~ 290 TWh/yr. The gap is 5130 – 290 = 4840 TWh/yr. Or (((4840 / 30 CF)x100)/8677 Hrs)x1000 (TW -> GW) = 1840 Gigawatts. (1840 x 1000) x 5 = 9,200,000 Tons of Cu. Current production of Cu = 18,400,000 tons of Cu/yr. At this moment we use about ((110 x 1000) x 5) = 550,000 Metric tons Cu/yr. That’s (550,000 / 18,400,000) x 100 = 3% for Wind and Solar. Let’s add the following caveat. Assume that all the Cu used in extant power generation will be needed for the electrification of domestic / office heat / water / industry / transportation / mining / agriculture, etc. etc. I haven’t quantified the increase in Cu use for all those yet. But assume yet another Cu glut from all of those processes. well for germany, heavily industrialised, and with high energy consumption, a all electric aproach would need about 800TWh. So on the same standard it would need 13 billion people to consume 120.000 TWh per year. A quite unlikely scenario, very much on the high side. MAybe the transformation from primary energy consumption to higher quality electricity was forgoten like so often in some areas. Till 2050 it’s 33 years, not 22 years. A 50% growth in copper production in 33 years gets you well below a 5% rise of mining capacity per year. So where should be a problem? At just above 5000€/ton countries like germany , poland etc. who so far import all coper would start to supply themselves with copper again, adding a few million tons of capacity per year in europe alone. A rise above 7000€/t woul rise capacities further and lead to copper exports from there. Same for many other regions in the world. Keep the eye on the ball. You already caught one of my mistakes. Well done! FIRST, we need a 33% increase TOMORROW. Not in 33 years. Our annual growth has been 2.7% over the past decade (source USGS commodity page). Let’s be frank, we’re never going to increase worldwide copper production by 33% tomorrow, and keep that up for 33 years. Far more likely are small increments in the growth rate from 2.7% to 3.5 / 4.5 / 5.5 / 6.5% within a decade or so IE production rates are far too limited to help Wind and Solar effect any real change on the bigger scale of things. The aim is 118,000 TWh, not Germany, not Australia, WORLDWIDE. Are we going to solve the Worldwide problem, or not? Here’s the math redone, to account for my mistake of using 23 years instead of 33 years. If you want to achieve that linearly @ 2050, this means that you’d have to divide 118,000 TWh by 33 year IE 3575 TWh/yr. The gap is 3575 – 290 = 3285 TWh/yr. Or (((3285 / 30 CF)x100)/8677 Hrs)x1000 (TW -> GW) = 1250 Gigawatts. (1250 x 1000) x 5 = 6,250,000 Tons of Cu. In case you’d really need so much energy, which is doubtful you’d need to put 205 million tons of copper into power production, minus the tons of copper already used in thermal power production. Mostof copper production alrady gores into electric sector, but that’s another topic. So with a 3 % rate extra fow wind and solar, you’d have eg. 540.000t extra in this year, and 30 million tons extra in 33 years. Do the maths yourself. In 33 years more than enough copper is available with just 3% growth per year. Which is not very much. For a linear growth of installed capacity you would indeed a one time jump in copper production and the production level staying steady after that. However this would also mean there would need to be a one time jump in PV and wind turbine manufacturing capacity, so this is not a likely scenario. It is more likely that growth will exponential (at least until it reaches some market saturation point). This means that copper production can increase a few percent every year like Helmut calculated. But again I must emphasize that it is unlikely that copper demand will grow linearly with installation rates, because technology is not fixed and will react to high high copper prices by using less of it. With this answer you undermine your original point. That there are so many different technologies for wind and solar energy means that if some material experiences a shortage or price hike, one can just switch technologies. Just as in evolution variety means robustness. Copper remains the underlying common denominator. So called-solid state transformers are not quite there yet but will probably be able to replace conventional transformers in the near future. High copper prices will increase the amount of money flowing in R&D. High copper prices would also been that aluminum cables would start to replace copper cables, recycling would go up, permanent magnet turbines would replace non-permanent magnet turbines, and so on. So the variety in material use between technologies and negative feed-back loops means you cannot just make a linear projection from the current situation and predict copper shortage doom at some amount of renewables from it. In reality the system is much more robust to shortages of a certain material than you think. SunPower, obviously, is an outlyer in terms of copper usage, with its full copper backplates. SunPower only produces less than one (Source SunPower & GTM) gigawatt of these panels, so. somewhere between 49 and 59 GW of other technologies must be using copper too, right? Don’t get to fixated on one piece of technology. All energy technology is dependent on copper. There’s nothing you can say that will make things differently. Your three points, could limit or delay the penetration of renewables. That does not change the fact that for the applications where they are applied they displace two to three times the amount of primary fossil fuels. So yes primary energy is a lazy and lousy metric and final energy is the better metric. I know the contents of a solar module very well. There is no cupper problem at all except perhaps if everybody should follow Sunpower’s route. On the other topic, it is obvious that solar and wind will not replace all combustible fuels. However, when counting them, one should count on equal basis is in order to get an appropriate understanding of their relative contribution. To be fair there is copper in the cables connecting the modules to the inverter and the cables connecting the inverter to the grid. Furthermore some inverters still have an integrated transformer with copper windings. However, this again a nice example of how changes in technology can react to material shortages: Inverters without traditional transformers are already gradually taking over the market. This would be sped up by high copper prices. To my best knowledge in some countries the grid codes does not allow for transformer-less inverters. But these will probably turn around after a while. I agree with the overall message, that is, the role of renewables is underestimated by the current practice of counting. A more elegant way of correcting this, however, may perhaps be to consider the contributions of the different technologies to energy end use, as another comment also mentioned. That way also the use of waste heat, for instance, can be taken into account. This should then be combined with a measure of the equivalent CO2-emissions per unit of energy supplied to end use to allow for a meaningful comparison or evaluation. Seen from the renewable side, you are right that evaluating the contribution to the end use appears as a good solution. The fossil fuels sector, however, are used to counting tons of oil or coal and are probably very reluctant to replace that with a less “tangible” parameter. I think one would benefit from showing overview of both the primary consumed and the final energy delivered. You say solar needs a 5 times mark-up, wind just 2.3 times, since you include losses in their conversion processes. That’s debatable. Their ‘internal’ technical efficiencies (which you put at 20% and 50% respectively) are surely a separate issue, as are load factors. What we are working on here is the final actual output, however derived, suitably grossed up to mtoe fuel input, as if it was delivered by a ~38% efficient fossil plant. It seem odd to try to track back to some pre-conversion stage renewable energy input and present that as the primary energy. It is not odd to track back to the pre-conversion stage for renewable energy input when you count primary energy. According to the definition of primary energy, http://stats.oecd.org/glossary/detail.asp?ID=2112 , you are obliged to do this. It is also already done for nuclear power, CSP Solar and biomass power. Just not from PV, hydro and wind ! Yes, of course, but its how you do it that matters. BP does it by a simple TWh output conversion , ‘on the basis of thermal equivalence assuming 38% conversion efficiency in a modern thermal power station’ applied to all renewables and nuclear. Admittedly that’s pretty crude, but of you try to trace back the TWh output from each of these to some sort of vitual energy input it gets very hard e.g. wind load factors vary wildly- do you use a global average? And why bother- we have the solid TWh ouput data.